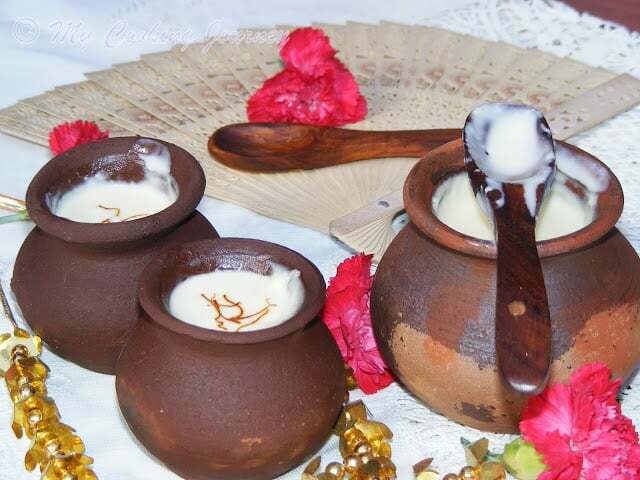 Mishti doi is a very popular dessert in West Bengal and Bangladesh. 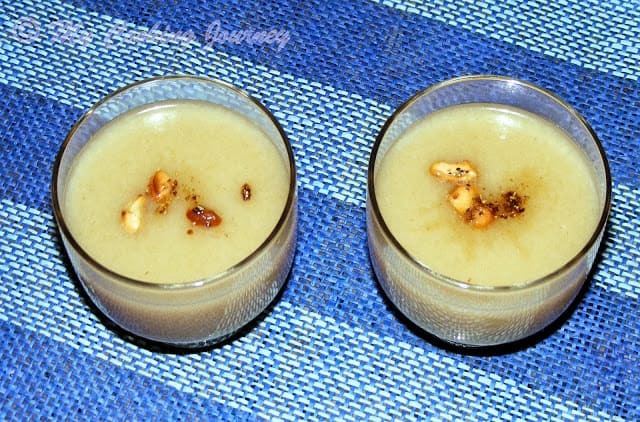 This is a fermented sweet made with milk and brown sugar (Jaggery). Mishti is Sweet and doi means Dahi or yogurt. 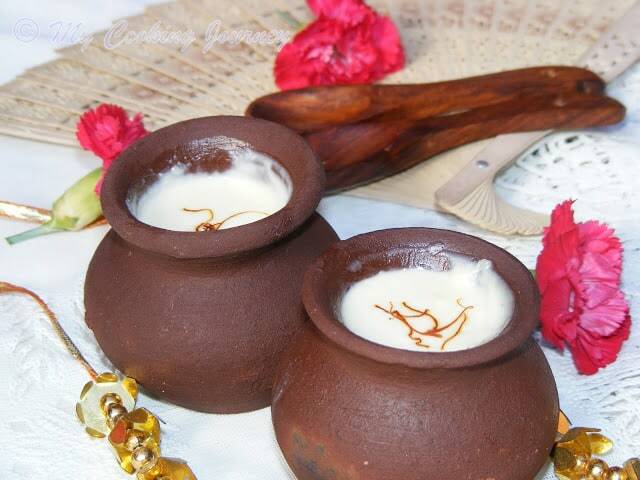 Yogurt is considered very auspicious and hence this dessert is made during pujas and weddings. 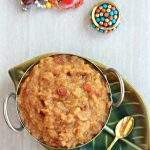 This sweet is made with thick and creamy condensed milk which is sweetened either by caramelized sugar or jaggery. It is fermented using fresh curds overnight. 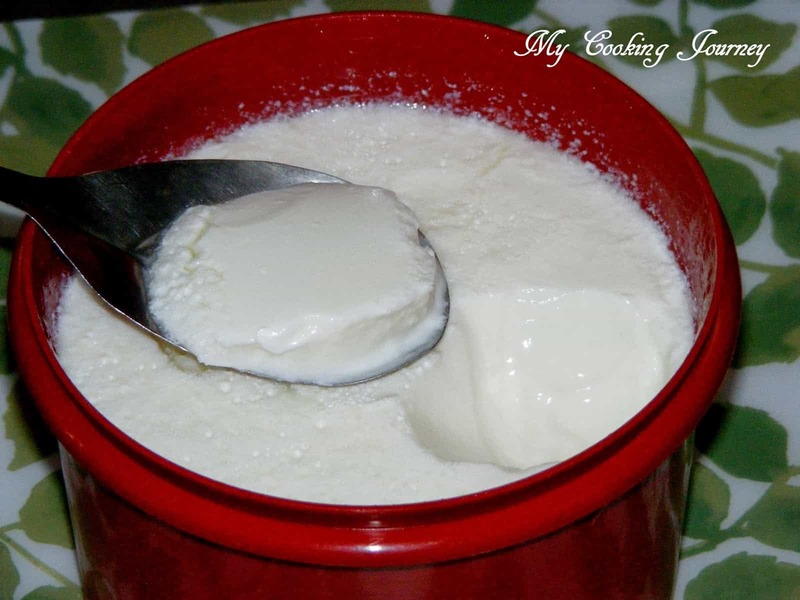 This is typically made in earthen pots , because the gradual evaporation of water through the porous walls of the pot enhances the thickness and creaminess of the yogurt. Adding the jaggery gives the sweet its pale golden color. In a muslin cloth lined colander, pour the yogurt and then gather the ends of the cloth and squeeze the excess water out from the yogurt. 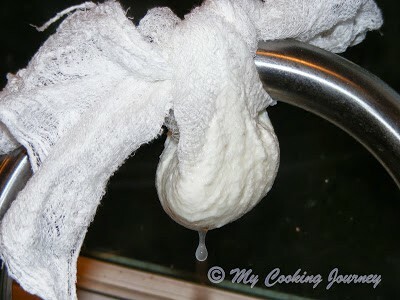 Tie this cloth in the kitchen faucet or any knob to let the all the water drip out of the yogurt. This step is optional, but doing so makes the Mishti doi more creamy. 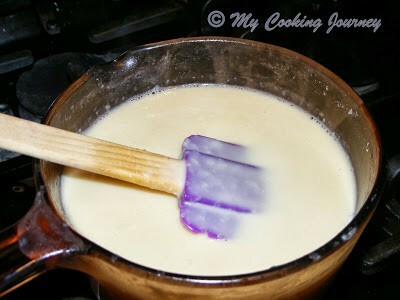 In a heavy bottom pan, combine the milk and the heavy cream and bring it to boil. Let it simmer in low heat until they get thicker and reduced (for about 20 mins). Now add the crushed jaggery and mix it well. 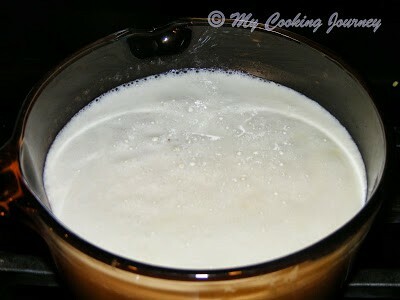 Now you would see that the milk gets a pale golden color. Turn off the flame and let the mixture cool down to lukewarm temperature. 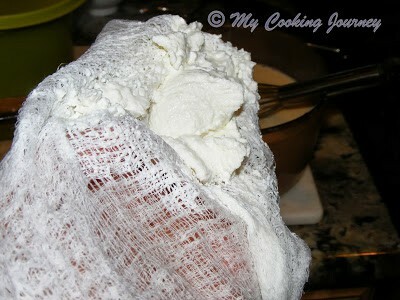 Remove the yogurt from the cheese cloth and add it to this milk mixture. 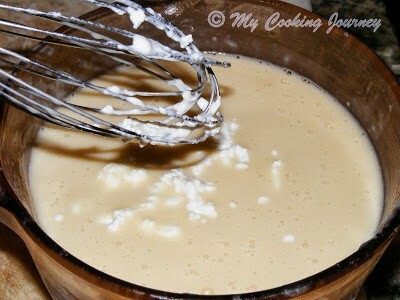 Whisk it well so the yogurt is distributed evenly and well mixed. Now pour it into individual clay pots or ramekins and cover it with aluminum foil. Place it in a warm spot and let it ferment for about 12 hrs. This yogurt takes longer to ferment than the regular unsweetened yogurt. 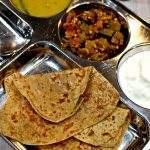 Once set refrigerate it and then serve cold. It could be refrigerated for up to a week. Mishti doi can be made with just milk alone, but it would take longer time to reduce the milk to about half its original quantity. 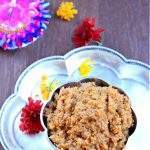 Instead of jaggery brown sugar or caramelized sugar can also be used. This takes longer time to ferment. So make sure you do not disturb the containers or shake it in between. I was just thinking about mishti doi this morning after I made 2 containers of yogurt. 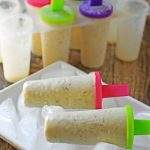 I'm the only one to eat all that yogurt and was thinkng if I should make mishti doi..
Love those matkis and your presentation.. Looks delicious. 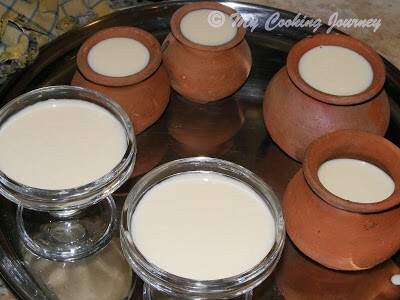 Delicious misthi doi, Your presentation is really authentic. 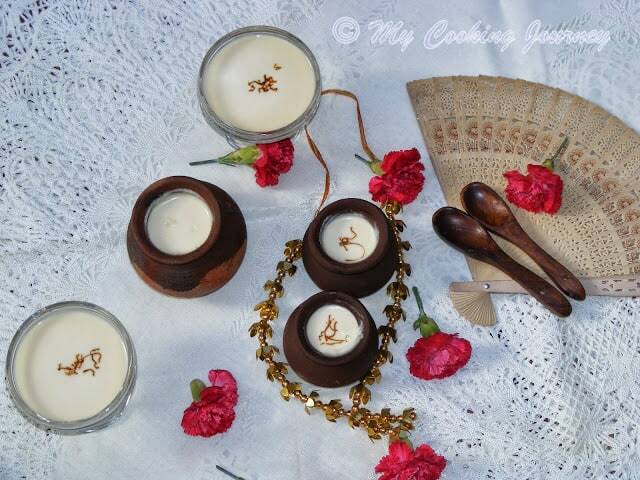 Such a delightful and fantastic mishti doi, lovely setup. 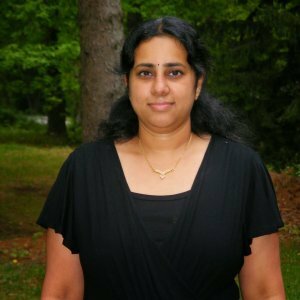 Wow Sandhya, looks awesome and stunning. 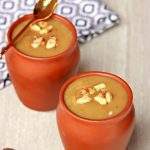 Love the cute little pots and mishti doi is just mouth watering. 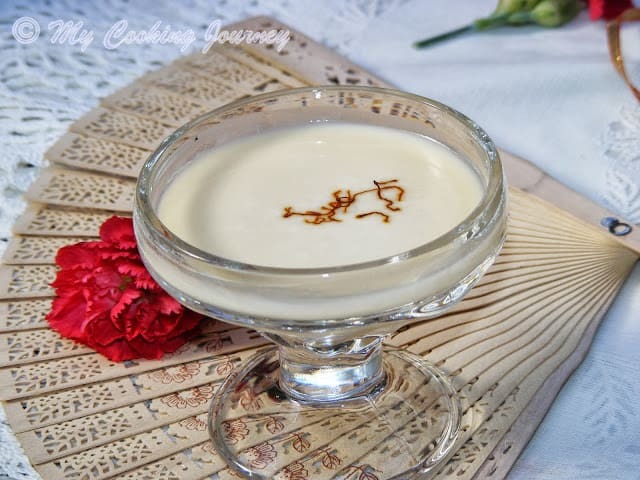 Lovely pics Sandhya..I love mishti doi and remember the times I made them at home..very nice..
You just answered my question… I was thinking that mishit doi and shrikand is very similar.. Now I see that mishit doi is so elaborate and involves cream and jiggery… thanks for sharing this delicious recipe… will surely try it!!! Lovely props and pictures..Love the sinful misti doi! 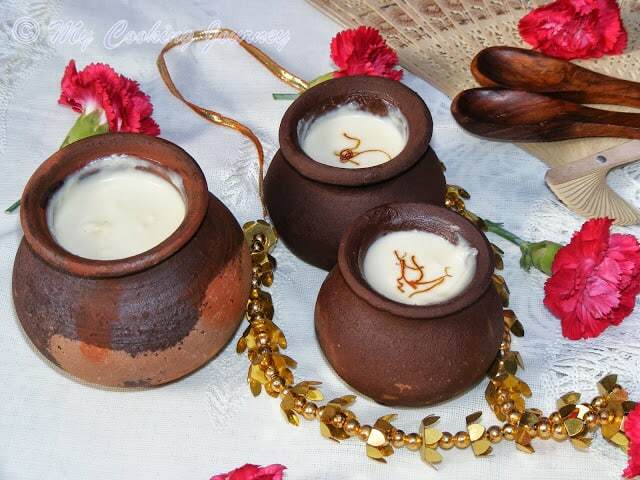 wow Sandhya rocking dear, what a beautiful presentation and yogurt in pot is super tempting one…. Wow very beautifil pictures and love those pots. I am a big fav of this sweet curd. 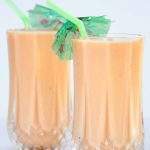 Lovely recipe with wonderful clicks. 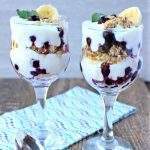 Love the pictorial presentation of the recipe. I was assuming that this was a baked recipe. looks awesome and deliciously mouthwatering! 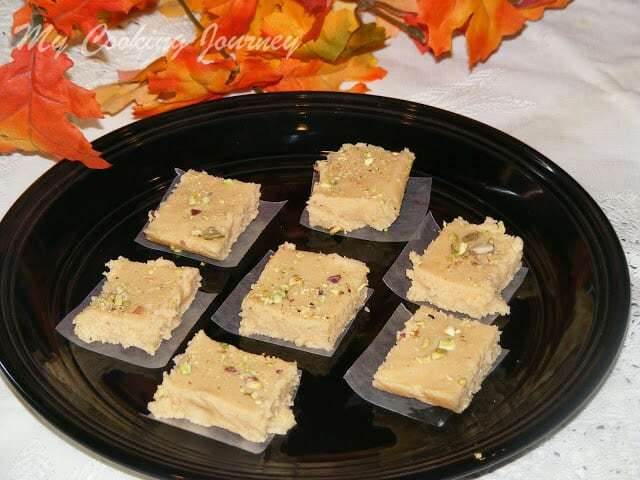 another creamy and delicious looks sweet from the Bengalis!